Are you sulking at work? Did not get to take the long weekend and travel with friends? We are honestly so blessed that we live in a city that has such amazing spots to travel nearby on weekends even if it isn’t a long weekend. Irrespective of if you took a vacation last weekend or not, you’ve GOT to try something a little more adventurous. Try bungee jumping for a change! Somewhere near you, is India’s highest bungee jumping platform. How can you stay calm even after that? Doesn’t it itch to try this amazing adventure sport? Read on! What To Expect At Jumping Heights? Stepping off the edge and letting go of the whole world to meet your true self while freely falling through the abyss. 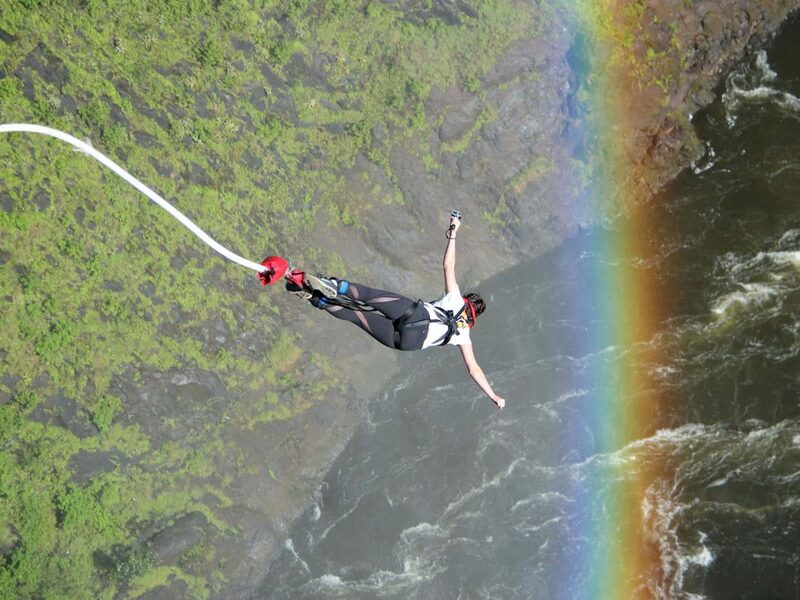 This thrill of bungee jumping is literally unexplainable for the adventure sports enthusiasts especially when they tear through the chilling winds while diving down. Taking part in the sport in the gorgeous landscape of Rishikesh is a different kind of high for adventure sports enthusiasts. Moreover, during the winter season, the mountains of Uttarakhand offer an adventure experience unparalleled. What You’ll Love About Jumping Heights? It is India’s highest bungee jumping platform. What’s more to love about it? The winters in the mountains are chilling and freezing with views of snow-capped mountains. Imagine falling but you know you’ll be safe. And you can be sure that you’ll be safe. They have operated over 7000 jumps and it is run by ex-army officers. How awesome is that! And this is not all! There are more adventure activities you can try like giant swing and the flying fox. If you’ve always been intrigued by extreme sports and did not know where to start your adventures, then this is the perfect fit for you. So walk up the hill, be strapped on, get briefed about the exciting time ahead of you! You’ve got to try this!